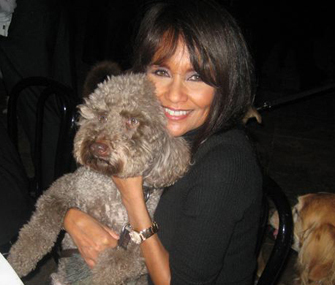 As I’ve been doing a series of interviews lately on the youthful effects of a vegan diet, one person who stood out in my mind was the lovely Karyn Calabrese. 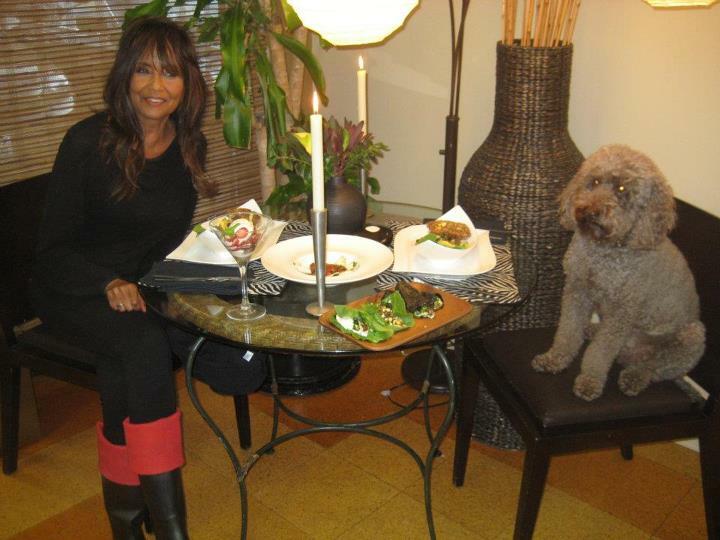 She has spearheaded the raw food movement years ago by opening up the first raw food restaurant in Chicago and has plans for more on the way across America. 1) How long have you been vegan? Raw Vegan? What made you want to go vegan? Do you mind asking me your current age? I’ve been vegan 43 years, and raw for 30. I’m 65 years old. I chose to go vegan after seeing all the women in my family die young, my mother at 48, my grandmother at 50 and my great grandma at 60. As I modified and changed by diet, my health improved 1000%. 2) Are you 100% raw all the time? How important do you feel it is to be as close to 100% raw as possible and why? What do you eat in a typical day? I am 99% of time raw. When I open cooked restaurants and change menus at my restaurants sometimes I have to taste items on the menu. It is very important to me to be as close to 100% raw as possible and vanity plays as big of a part in it as my health. When I eat cooked food I can see changes on how I look and how I feel. On a typical day, 85% of my diet is greens—I take in wheatgrass, Spirulina, kamut, green vegetable juices that can include sprouts, kale, celery. 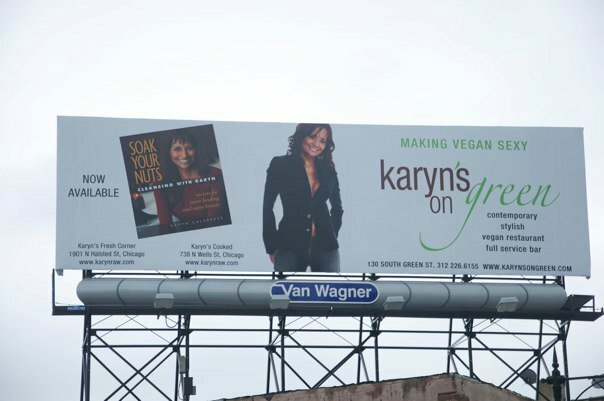 In addition, I drink my Karyn’s Green Meal Shake which is a blend of chlorophyll, flax oil, soy lecithin granules, and a frozen banana. Every day I also drink wheatgrass and coconut water. Some days I eat from my salad bar at Karyn’s Fresh Corner and sometimes I eat at my fine dining restaurant, Karyn’s Raw. It really depends what I’m in the mood for. We have such a wide range at Karyn’s I never get bored. 3) Ann Wigmore was big on sprouting and you mentioned that you make drinks with sprouts. What sprouts do you eat/drink? Do you ever sprout legumes and grains? If so, which ones? Brown rice? Garbanzo beans? How many ounces of wheatgrass would you guesstimate you drink a day on average? How important do you feel amino acids and sufficient protein are to a successful raw vegan diet? Do you take any supplements and which ones and why? My favorite sprouts are sunflower and buckwheat but I love all the sprouts and I sprout just about everything before I eat it. Of course I sprout grains and legumes, it’s the healthiest way to eat them. I make the best hummus on the planet with sprouted garbanzo beans and a super sprouted carb salad. Regarding wheatgrass, Dr. Wigmore recommends 1-2 ounces a day for maintenance. I personally drink 4-6 ounces a day but that’s not for everyone. Amino acids and proteins are important for life but the amounts recommended aren’t necessary. You get it in with just about everything you take, especially sprouts and greens so it is unnecessary to count them. I do take supplements from time to time but I do lots of chlorophyll in capsule and liquid form so that’s my main source. 4) You’ve mentioned that you “cleanse and detoxify a minimum of four times a year”–what type of cleanse do you personally do and have found to be the most beneficial? I do my cleanse which is a four week program I outline in my book Soak Your Nuts. Sometimes I extend it a little more radically because I’ve been doing it so long. 5) Before you went vegan years ago, what health problems were you experiencing? Did they clear up? Before I went vegan, I had every allergy known to man, terrible skin, bloating, constipation and overall poor digestion. When I changed my eating habits and detoxed, they all went away. 7) What mistakes do you see people making when they attempt to go raw vegan or vegan and what advice would you give them so they don’t go back to eating animal foods? Trying to be perfect is a mistake. Allow yourself the evolution. Set obtainable goals and intentions. Going 100% raw isn’t right for everyone. Start off 60-40 or 70-30. Let your body adjust. I also certainly recommend a good detoxification program which will make the process easier. 8) You are naturally a very beautiful woman and used to be a model, right? How much of your current beauty would you ascribe to genetics and how much to your healthy lifestyle? (percentage wise) I think I saw in an interview you gave once that your family’s health (mother) wasn’t so great and so it’s not genetics. Could you tell us a little bit about that? Yes, the nose, eyes, and mouth are genetic. The skin, the weight, and lack of wrinkles are all due to my diet. I do maintain my vitality with a lot of therapies in my wellness center, Karyn’s Inner Beauty Center, like organic manicures and pedicures, oxygen bath, infrared sauna, organic facials, massages, and colonics. 9) You mentioned in an interview that you dislike “ugly vegans” (those who are militant with their beliefs and shove them in people’s faces) . What methods have you noticed are most effective when sharing the benefits of a plant based diet with friends and relatives that don‘t turn them off? Show no judgment for their choices, and be kind and loving to all choices they make . Also, get them to try these new foods through dessert. 10) What exercise routine do you do? You mention you get up very early and run your business and put in long hours. How is your energy level? I take a professional ballet class with girls 22 and under, I’ve done yoga for over 30 years, I have a power plate and a Pilates reformer at home. 11) People who practice yoga seem to “youthe” better. Do you think it’s because of the movement of lymph through the body, the calming of the mind through deep breathing and slowing down of the stress response or a combination of both in addition to something else? 12) You mentioned that you follow Ann Wigmore’s principles and no doubt that includes wheatgrass. Anecdotal evidence from others says that they’ve reversed grey hair from drinking wheatgrass juice. Has that happened for you (or prevented you from going gray) or anyone you know? You’ve aged remarkably well. What factors would you credit for that? 13) Do you drink rejuvelac regularly? Have you heard of other’s reversing grey hair with drinking this? Isn’t rejuvelac good for intestinal flora? Do you think drinking rejuvelac can help prevent B-12 deficiency by supporting a healthy flora population? What do you think about fermented foods—good for us or not? 14) How important do you think thoughts and feelings and keeping them positive are to good health and anti-aging? I think that having positive thoughts and feelings is just as important as eating the right food. You can eat perfectly and have negative thoughts and still run yourself sick. 15) You did a touching 30-day detox to commemorate the anniversary of your son’s passing that you filmed on Youtube and you lovingly were patient with yourself when you weren’t as strict with it as you had originally intended. How important do you think it is for all of us to be patient with ourselves during transitions or emotionally vulnerable times in our lives when we need extra nurturing? It’s the only importance. Trying to make significant changes when emotionally vulnerable is 1000% harder. When you allow yourself to be in the moment and the movement of life, the flow continues to move and you go with the flow. 16) Do you have any other health habits you do on a regular basis like massage or facials, etc, that you feel are essential to good health? Every therapy that I offer in my wellness center was brought on board to facilitate and nurture my own healing and wellbeing. I do it all for me, I just share it with everyone else. 17) The title of your book is “Soak Your Nuts”. You mention that when nuts are soaked, it rinses off enzyme inhibitors and changes the nutrient content of the nuts. Do they become less fatty? How are the nutrients changed? Do you have any studies on this (this is not to be confrontational, but because this is fascinating and I would like to learn more about it)? Any plans to write any other books? Soaking nuts breaks down enzyme inhibitors, not rinses them off. It breaks down the fats and makes it easier for digestion. When you soak nuts, you eat fewer, about generally ¼ of the amount. I have a cookbook coming out in January with recipes from my restaurants and there will be a 3rd book coming out after that. I have over 10,000 recipes in my head and scribbled on pieces of paper since the late 60s, I doubt it will stop at three books. 18) Do you have pets? If so, what do you feed them? Are they raw as well? I have what some people mistakenly refer to a dog but he is actually a little boy in a dog costume. Yes, he is a raw dog but raw meat as God intended. 3. Roll out the mixture, put it on a tray and bake for 25 minutes. 4. Use a cookie cutter to cut out fun shapes, like a dog bone! 19) why do you think so many people struggle with eating healthy and food addictions? Do you believe it’s an emotional or nutritional issue or a little bit of both? I think it’s both an emotional and nutritional issues but also it is the tapes that have been being played since birth. Our society has promoted unhealthy living and eating and it has been put in front of people on a consistent basis. Our world isn’t set up to eat healthy. It isn’t convenient. 20) Do you have any suggestions on how people can reprogram their “tapes” that you’ve seen successful? People can reprogram their tapes by detoxing and education themselves. 21) What myths out there would you wish people knew the truth about? (I.e. you can only get your protein from animal source, etc.)? The top myths out there: milk and meat for strong bones and teeth; a big breakfast is the best way to start your day; the number of meals required each day can be dictated by others or by a clock. 22) Do you eat breakfast or do you “fast” until noon? 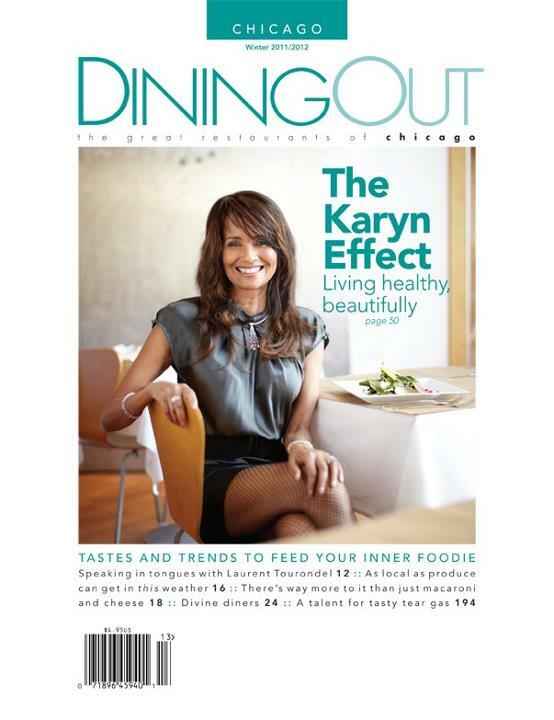 Do you eat more like Tonya Zavasta where she stops eating by 2pm and only has 2 meals a day? How is the timing/spacing/quantity of your meals determined? 23) Do you eat only organic? I try as best as I can to support that whole movement but I know I can’t always eat organic. I don’t live in a bubble–I eat out at other restaurants. That’s why I detox my body a minimum of 4 times a year. 24) What made you want to start your restaurant? How long as it been open? How many restaurants do you have now? 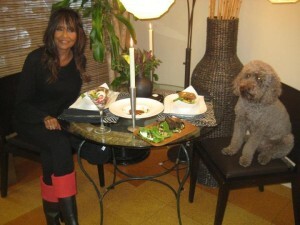 I have longest standing raw foods restaurant in the country. I started my unsupervised restaurant in my green house in the 80s. 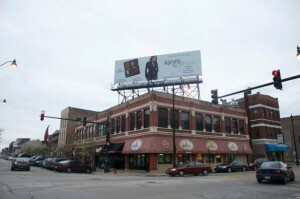 The reason I started was because in the Midwest there were no good choices and places to eat were extremely limited. Almost everything I do is based out of necessity and dictated by the evolution of the universe. I’m doing what I’m supposed to be doing. 25) What further goals do you have down the road of what you would like to accomplish because you don‘t seem to be slowing down? I’d like to open restaurants and wellness centers in other cities. I’d like to have my foods in supermarkets and stores available around the country. I would like to put out more books. Ultimately, my goal is to have a little tv station for people to tune in a learn food preparation in a comprehensive way. I also want to stream my detox classes around the world. 26) I think I saw on your FB page you were drinking a green juice at your restaurant one night at a party. Do you drink green juices often? What are some of your favorite green juice recipes? 60% of my diet is green. Much of it in the form of drinks. Every day I drink Karyn’s Green Meal shake, which is a favorite for everyone. I use two tablespoons of Karyn’s Green Meal Powder, with 2 tablespoons soy lecithin granules, 2 tablespoons of Karyn’s Flax Oil, and a frozen banana blended. 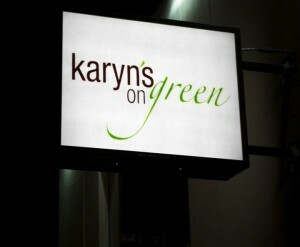 I also drink a vegetable juice that I sell at Karyn’s Fresh Corner called the Green Star. It is made with parsley, celery, lemon juice, and kale. Almost every drink I have I supplement with Karyn’s Chlorella or Spirulina. I’m basically on the ape/chimp diet of 60% chlorophyll a day since I share their DNA. 27) What are the benefits of chlorella and spirulina that you feel are so vital to consume? B-12? Omega 3 fats? Chlorophyl? All of the above? Do you ever eat seaweed? If so, how often and what do you feel are the benefits? All of the above. And since the human body should be existing on 60-70% chlorophyll a day it is an easy way to get it in. I try to get in seaweed everyday because I love the taste and flavor. I’m not a regimented person, I’m instinctual and that’s why I have had such success. If you detox, you can know what’s right for you. 28) How important do you think fats are in our diets? Fats are very important to our diet, but it is about having the right fats. Part of the human condition is salt, fat, and sugar. We need to take in the right kinds of fats like nuts and avocados. 29) Sea salt? You get quite a bit of natural sodium with the celery juice and coconut water you consume. Sodium is naturally alkaline. How important do you feel this mineral is to health? I think everything God put here was intended for us to ingest. I feel sorry for people who are on sodium restricted diets. I eat Pink Himalayan salts for flavor and also added minerals. 30) The Hippocrates Health Institute has stated that fruit feeds cancer and to be very moderate in eating it if at all. What are your thoughts on this? I absolutely agree. We should be moderate in all sugars we take in, even natural ones. I would especially avoid sugar if you have cancer as it feeds the cancer. I have done some revising of the classes I teach after participating in a documentary on sugar in LA. 31) Any notable success stories you’d like to share about people you’ve helped over the years that stand out in your mind? How are your peers’ health (people you knew in childhood/went to school with) doing compared to yours? Any age-related issues that you are experiencing like aches, pains, declining eye-sight, etc?. I went back to a reunion at my gym for original members and I was shocked how old everyone looked. These people are my age. A lot of people have removed themselves from being friends with me because I make people uncomfortable because I live my life against the grain. I’m not doing botox and other cosmetic surgery like my peers. 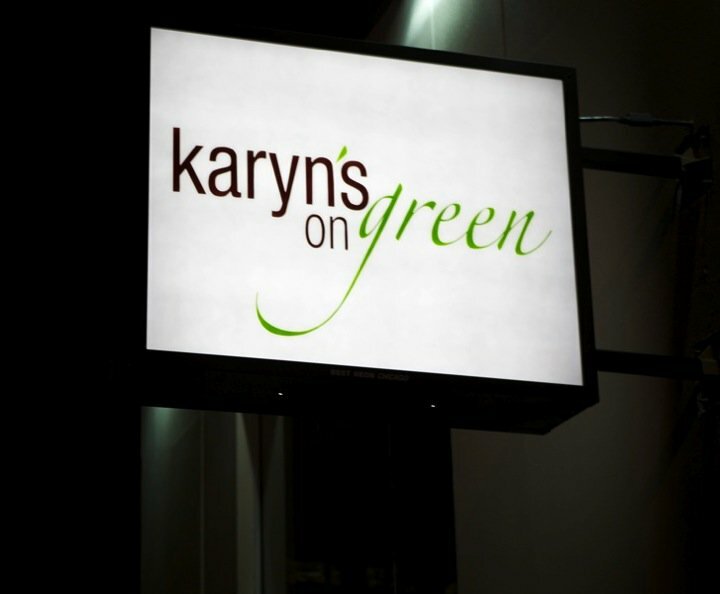 We’ve had a lot of success stories at Karyn’s. I had a client was very sick with eczema. It got so bad that he was suicidal and wouldn’t leave his house. When we finally got him into Karyn’s I took care of him, giving him services and supplements because he could not afford them. Within a few weeks this gentleman got significantly better. Another man had prostate cancer and did repeated detoxification programs and a raw food diet and he no longer has cancer. There was an 82 years old man who came in and did my detox program. Prior to coming in he had a sore on his big toe that wouldn’t heal for nearly six months. Because he was diabetic, the doctors were ready to amputate his toe, but after just a week or so of being on the detox program he went back to the doctor and it had completely healed. 32) Let’s talk female issues. 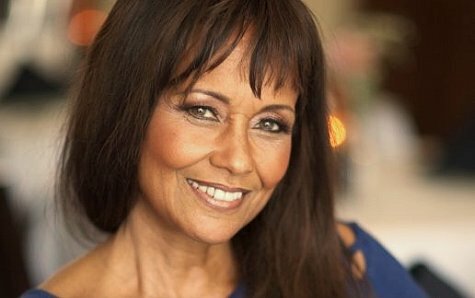 What advice would you give regarding vegan menopause? Any problems with that like hot flashes? If so, what would you recommend for women to deal with those issues? I went through menopause with zero symptoms and I’m not special. I believe that detoxification and balancing sugar levels is the reason why I didn’t experience any discomfort. God didn’t create us to have medical intervention at a certain age to be in the pharmaceutical hands. 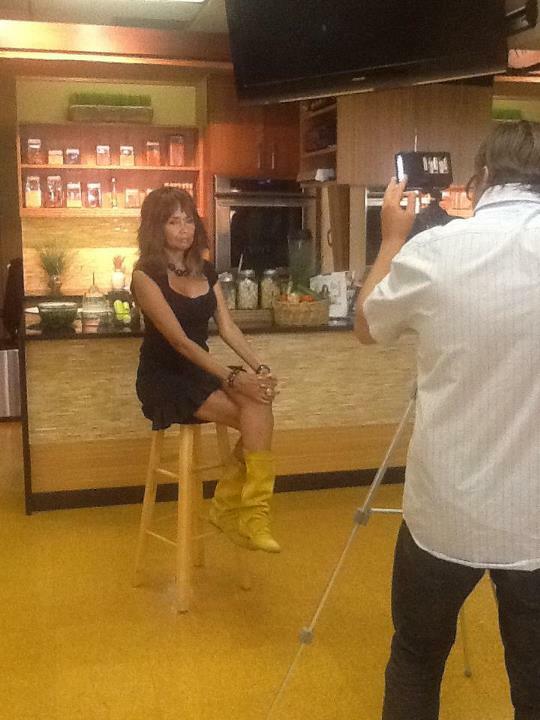 33) What age do you think is “natural” for a woman who is eating healthy to experience menopause at? Earlier or later than a woman on SAD? In Okinawa, they don’t even have a word for menopause because women don’t experience it there. Have you noticed any of the other “typical” symptoms associated with menopause such as declining bone mass, libido, dry skin, etc? Do you ever take progesterone or wild yam or has balancing sugars completely eliminated the need for any of these? I have no idea what a natural age for a woman to experience menopause is. I didn’t experience any symptoms either. My cycle just stopped. Funny story actually-my husband and I got a pregnancy test when my cycle stopped because I had zero symptoms. I believe that the reason for this is because I’ve detoxed for the past 40 years which kept my body balance and I’ve had no need to supplement.